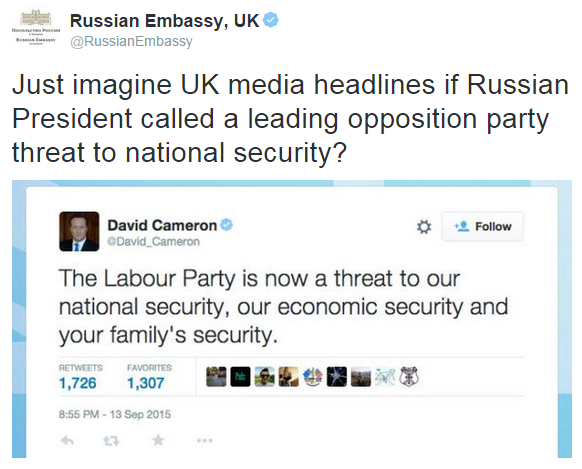 Who would win an election today: Jeremy Corbyn or David Cameron? In the UK, the main opposition party just appointed a new leader. A man called Jeremy Corbyn. Many of the country’s leading newspapers have since cast him variously as a buffoon, a court jester, a threat to security, a terrorist sympathiser, and various other extremely negative figures. Even newspapers that traditionally support his party seem critical. So it’s quite difficult to understand: Was he wildly unpopular outside of the two hundred and twenty something thousand people who voted him in as their party leader? Have those who were sympathetic to him suddenly turned? In summary: Jeremy Corbyn came out ahead by a very short nose (30.9% vs David Cameron’s 29%). As you can see from the error bars there: it’s too close to call, but from a snapshot of 1,000 responses the two are within a few percentage points of each other. Often polls don’t include the “I don’t want to say” question. In an actual election, voting is not enforced, therefore it’s worth including this potential answer. From the group above, age & gender profiles were available for 800 of the respondents. The data was gathered at the beginning of the week. Opinions change quickly. Let me know if you’d like me to rerun the above now, or in the future. I suspect the result of the survey will swing wildly as Jeremy Corbyn is very much a big news story at the moment, therefore I’ll likely run the survey again shortly. The above data is weighted to match the general internet-using population of the UK. Minor note: The wording should technically be “If there were an election”. I went with the more common “If there was”. Elections in the UK – of course – aren’t decided on the basis of a question like the above. The survey is designed simply to canvas opinion. There were 116 responses from Scotland. 29% of those chose ‘Jeremy Corbyn’, 16.8% chose ‘David Cameron’. The overall result of the 22 responses from Wales put Cameron ahead. The overall result of the 16 responses from Northern Ireland put Cameron ahead. Realistically, the numbers are too small from Scotland/Wales/NI to draw any verdicts. As ever, there are many more nuances & caveats to the above, but the result is interesting nonetheless.